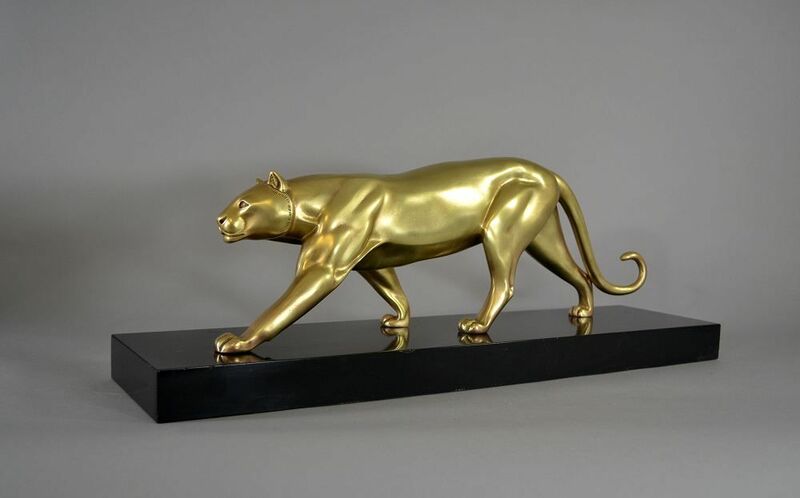 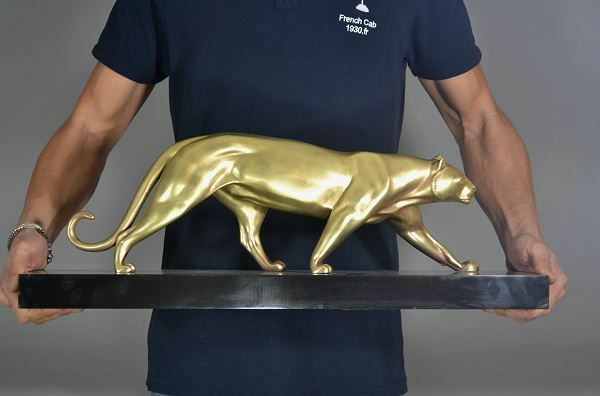 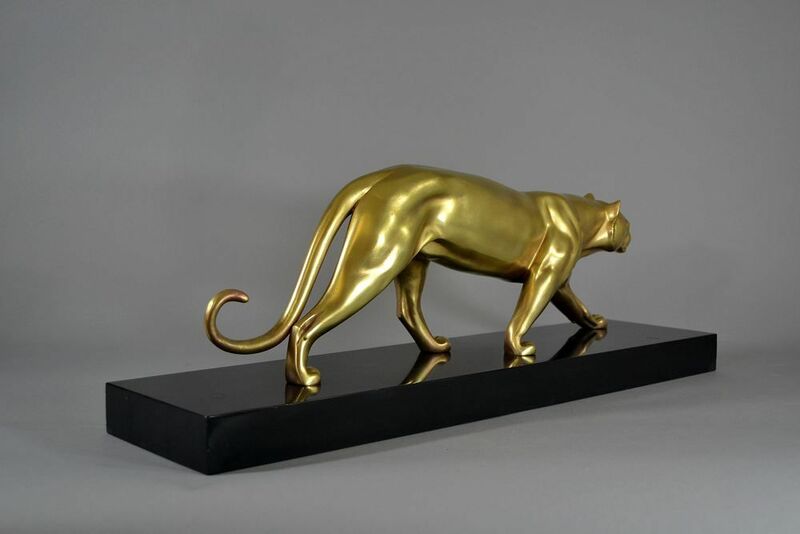 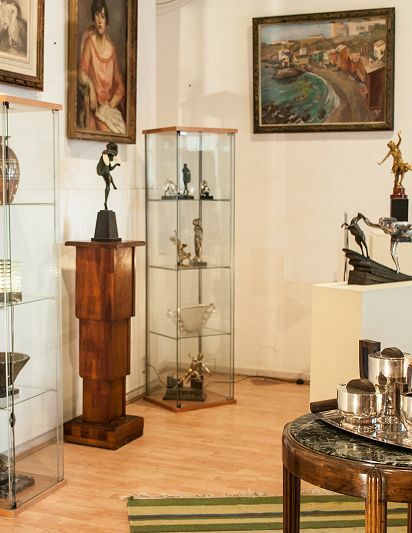 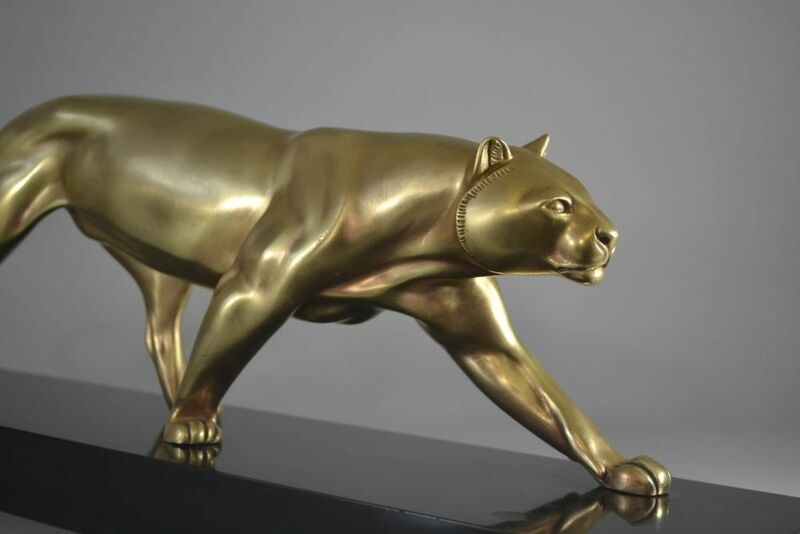 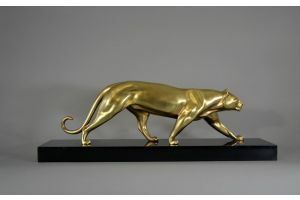 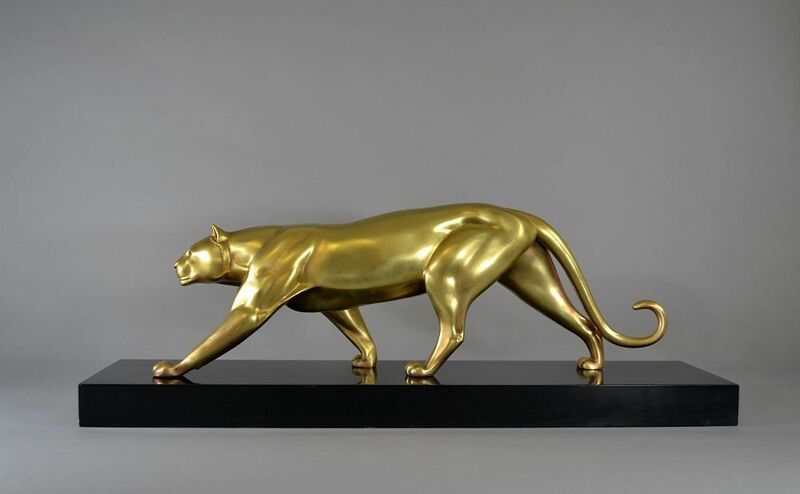 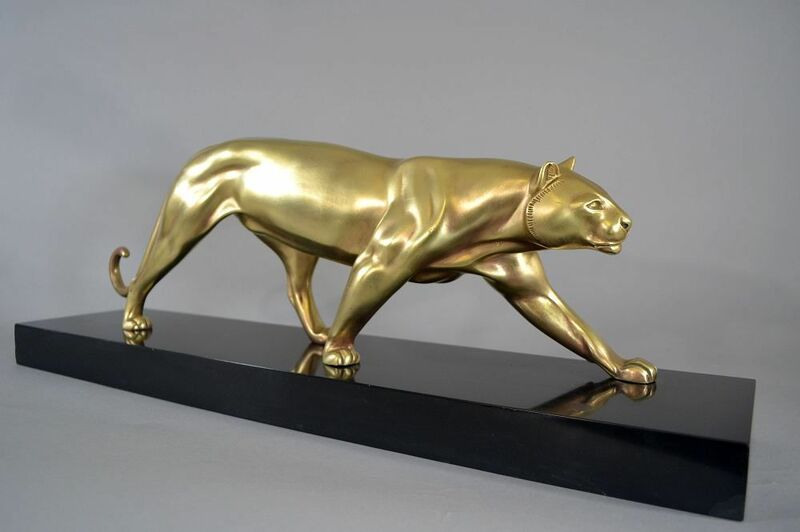 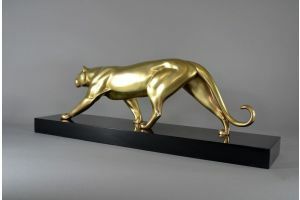 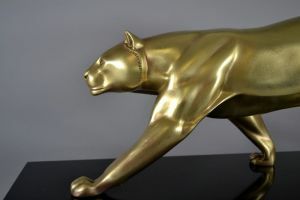 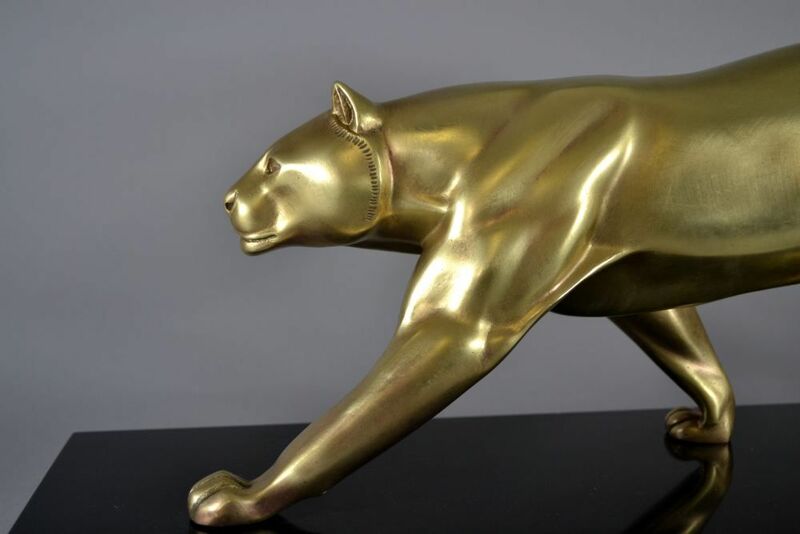 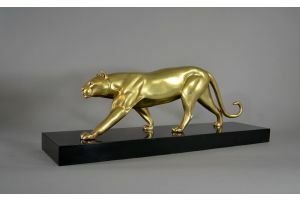 Probably one of the most elegant art deco panther. Even better, in my opinion, than the Maurice Prost one. 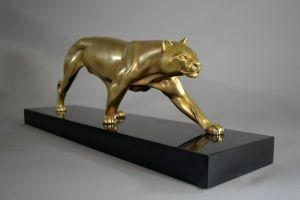 Signed by famous french artist Irenee Rochard. 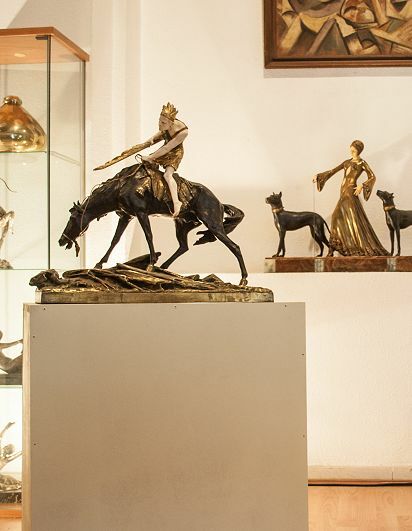 Gilded bronze on black marble base.